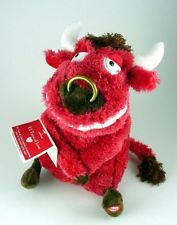 El Toro of Love draws you near as he flatters you with sweet nothings. He says "Hello my name is El Toro of Love and my love for you burns with the heat of a million jalapeno peppers". Press his foot to hear El Toro profess his love for you. Very hot and spicy!! !